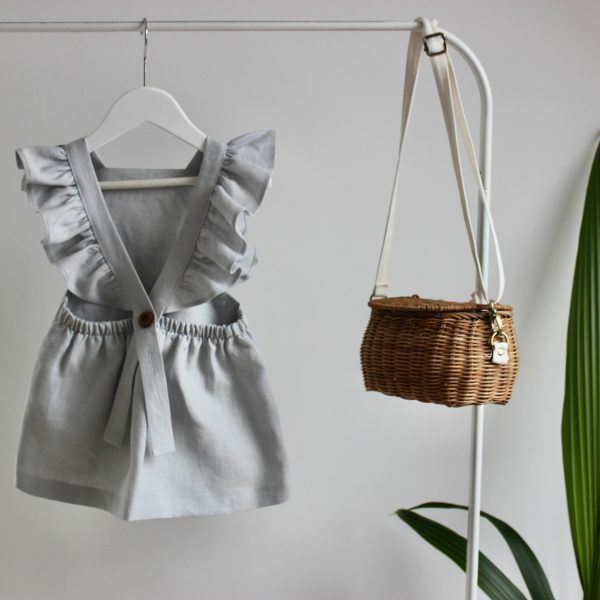 The most subtle shades of blue and grey, put together in the form of a simple yet pretty dress. Girly doesn’t always have to be pink, we kind of like this colour for girls. 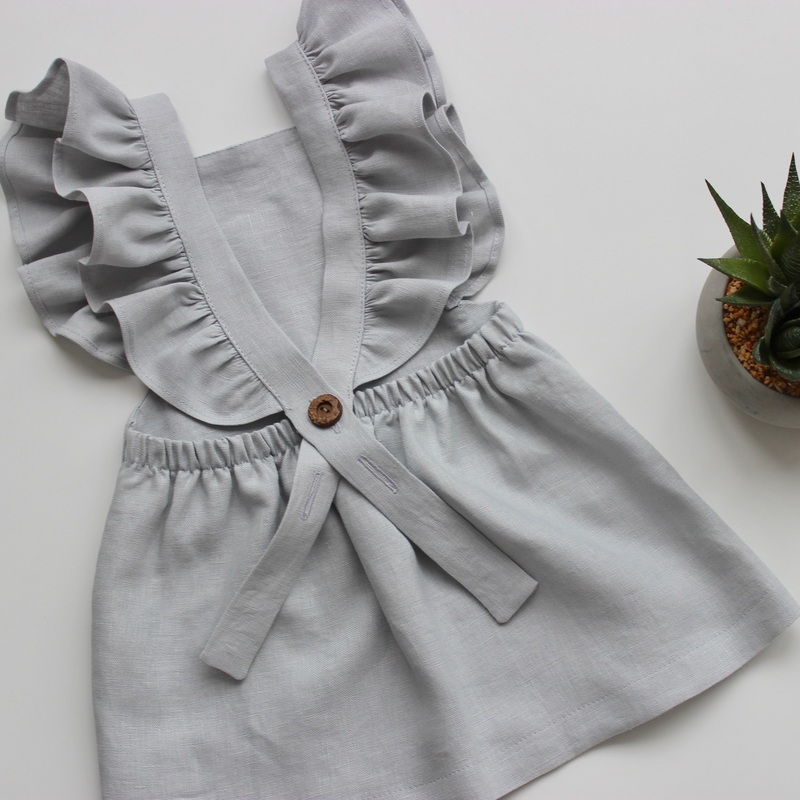 Made with 100% linen and complete with an adjustable button fastening, this dress is made to last. Wear on it’s own in the sun or team with tights and chunky knits come Winter. It is a key piece that will continue to last the whole year through.